Check out this excellent video footage of the 1937 flood. 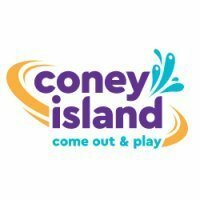 There's a great 20 second shot of Coney Island at the 5:00 mark. Wow! Thanks for sharing that. I really enjoyed seeing that rare footage. My father used to deliver news papers on his bicycle and one thing they did was help out in giving warnings and asisting in giving badly needed supplies.